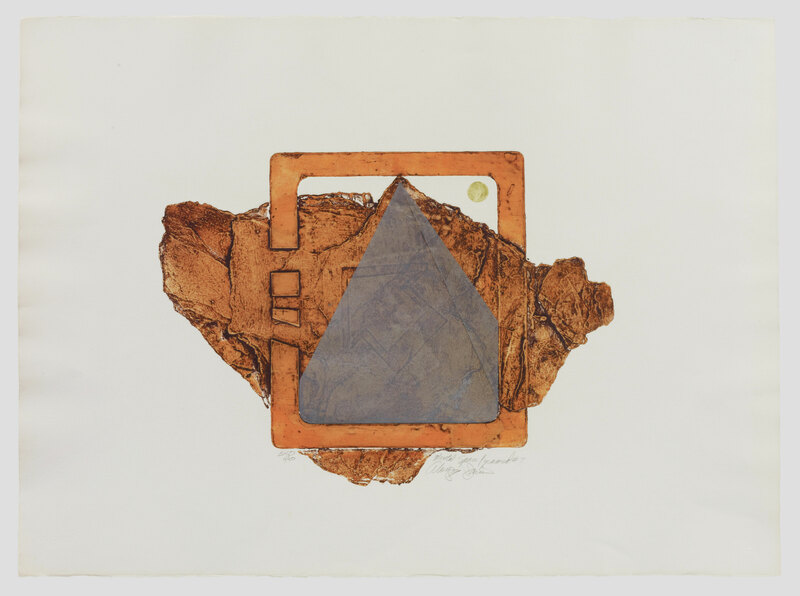 Like the other collographs by Davis featured in Now Dig This!, Pyramid #7 exemplifies the artist's interest in abstract studies of color, material, and form that relate to his mixed-media works. "Pyramid #7, from the Mental Space Series." Now Dig This! Art in Black Los Angeles, 1960–1980 Digital Archive. Los Angeles: Hammer Museum, 2016. https://hammer.ucla.edu/now-dig-this/art/pyramid-7-from-the-mental-space-series.